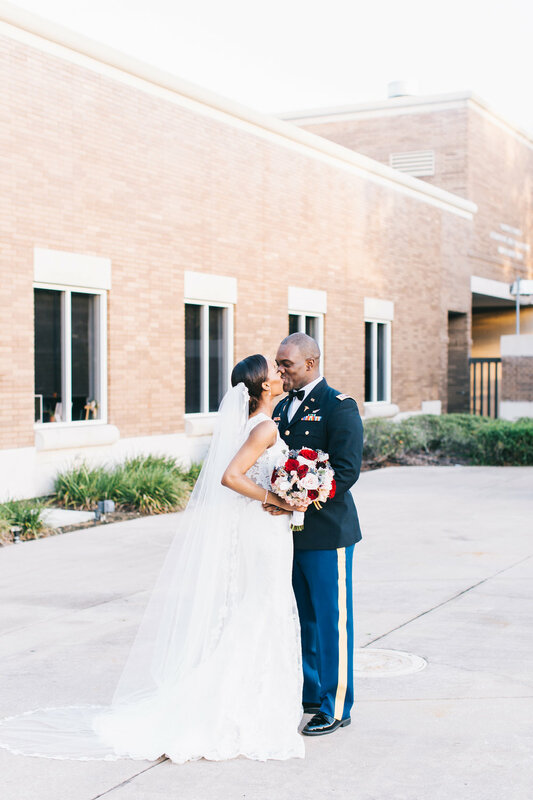 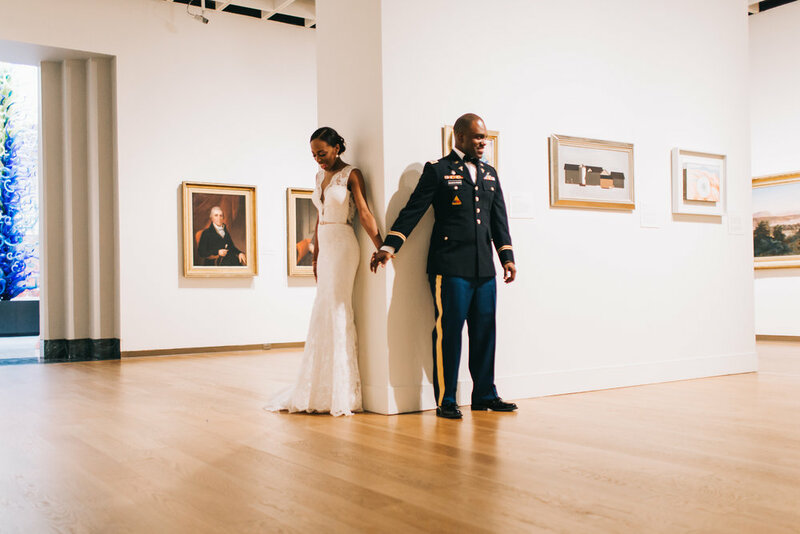 Beautiful Wedding at Orlando Museum of Art for an Army family. 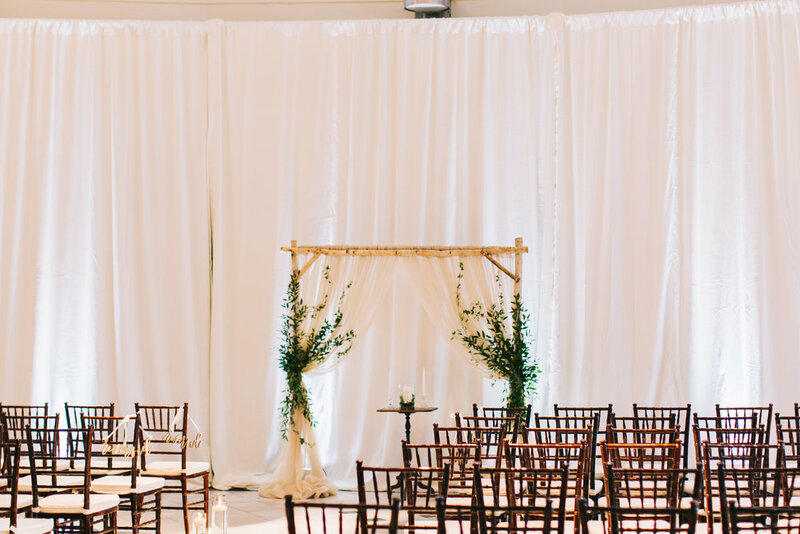 The ceremony was set with a rustic birch arch with beige drape and greenery trailing up and down the arch and drapes. 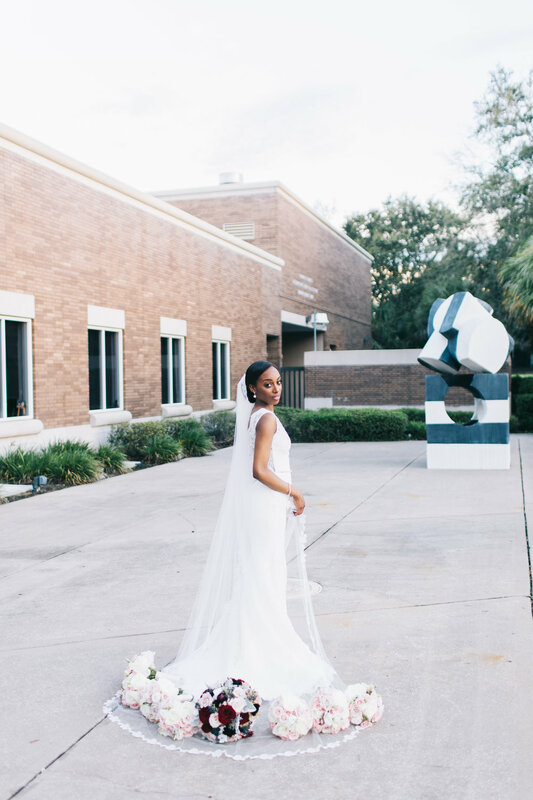 The bride wore a stunning lace gown with deep cut front and cathedral veil. 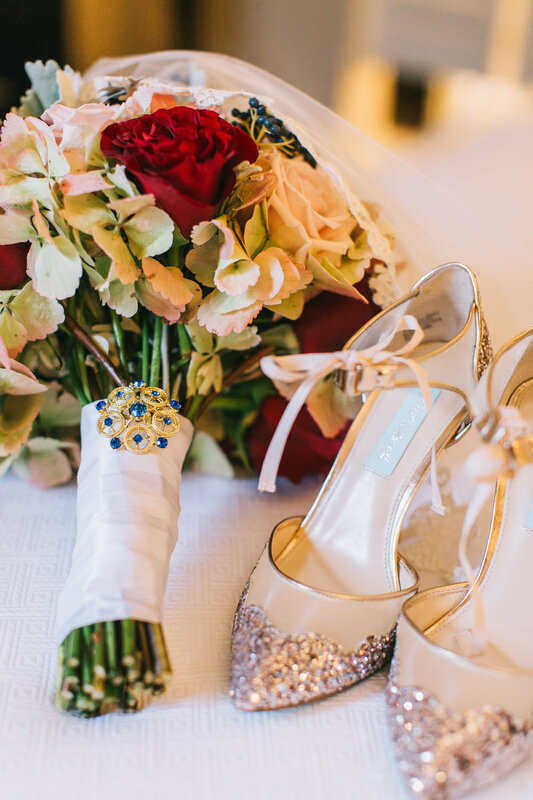 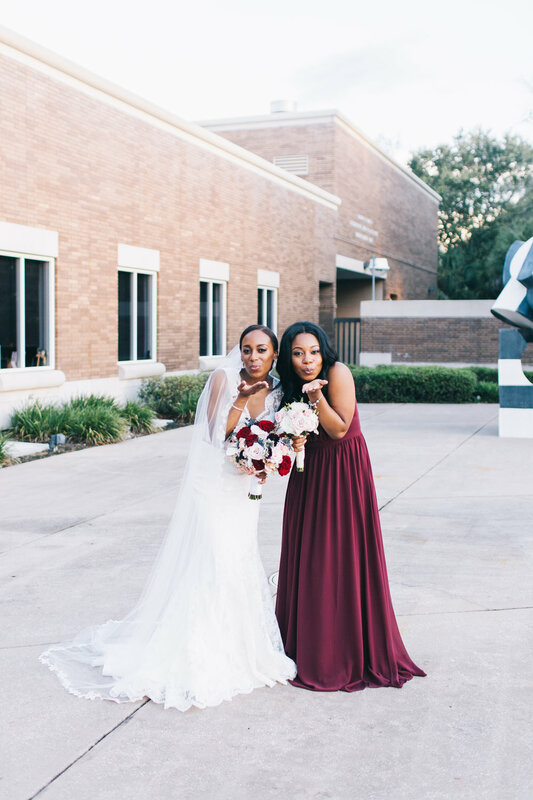 The maids wore a full length burgundy gown and carried bouquets of dusty miller, white and blush roses. 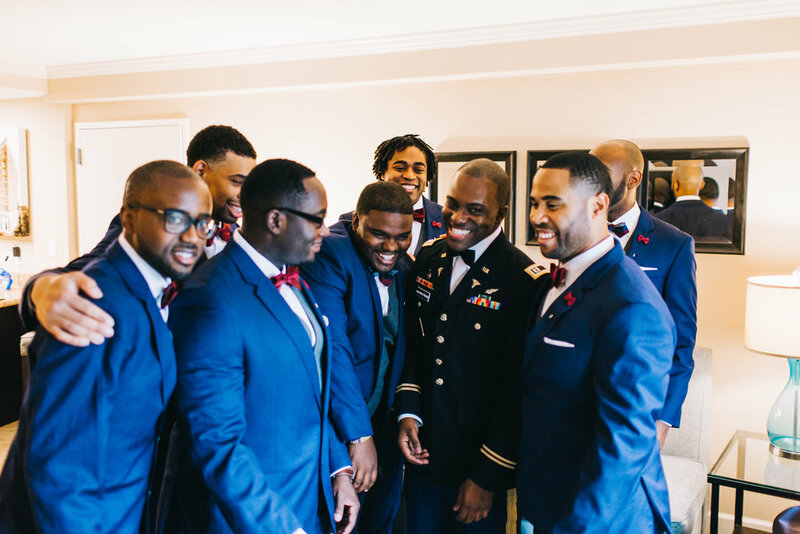 The groom was in Army uniform and his men wore a navy suit with burgundy bowties. 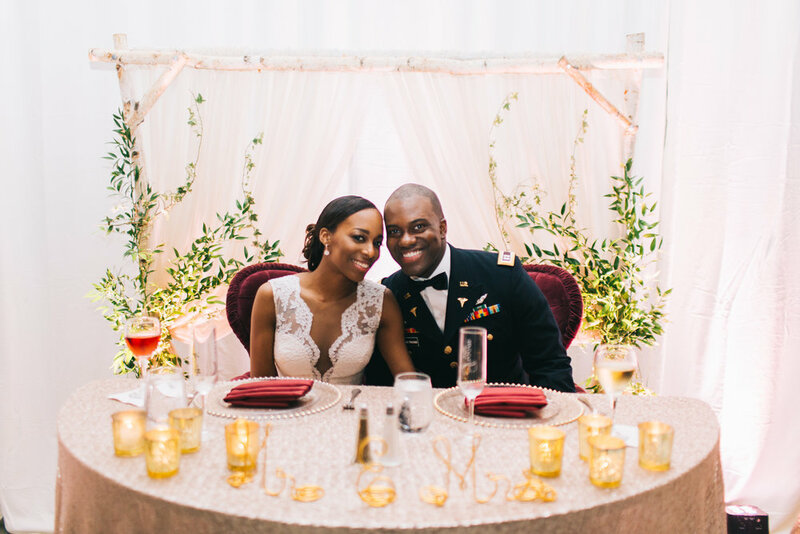 The aisle was set with floating candles and a puddle of rose petals. 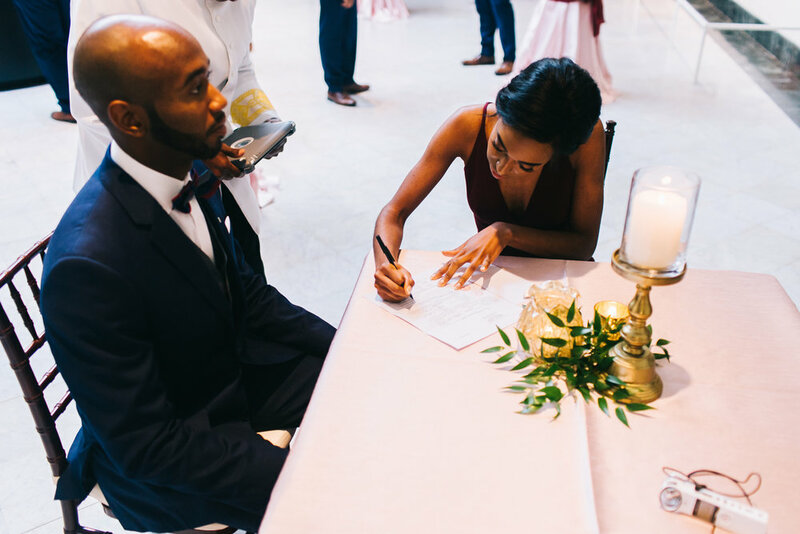 During to cocktail hour, the room was flipped from ceremony to reception. 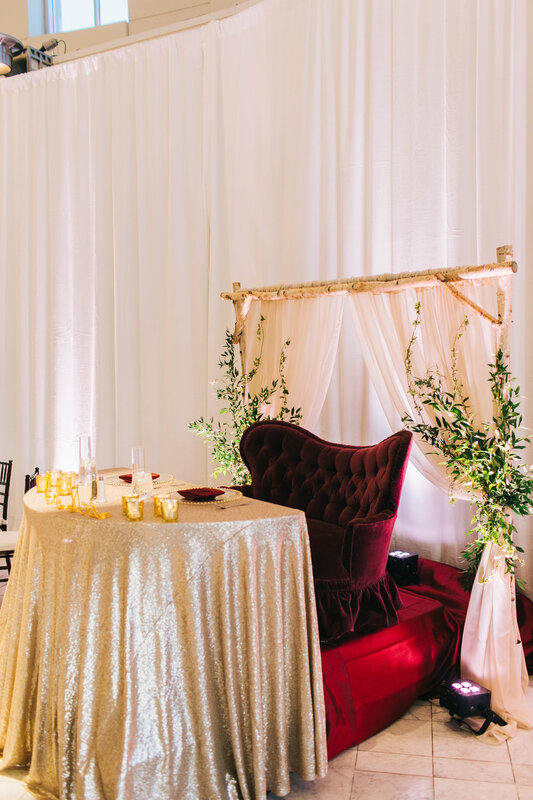 The birch arch was used as backdrop for the sweetheart table with a gorgeous burgundy settee, gold sequin linen and gold mercury candles. 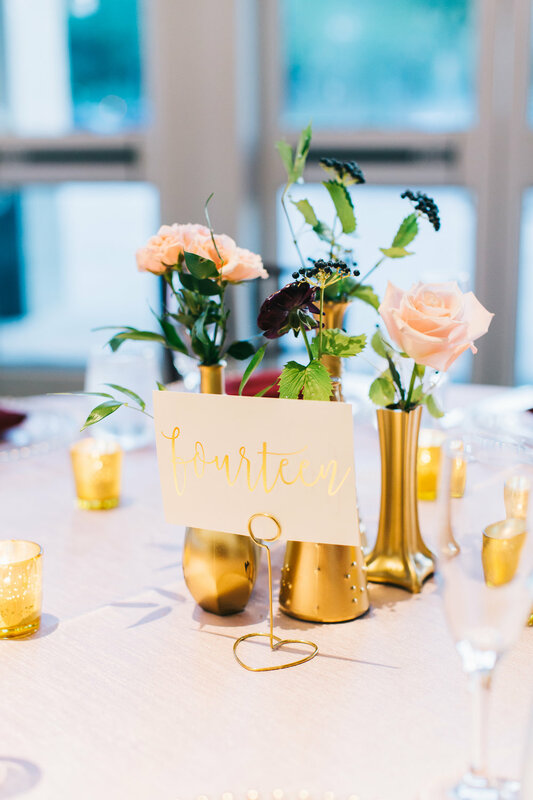 Reception tables had a collection of gold bud vases with a few stems of blush, ivory and navy floral with a touch of greenery.